One of my favorite times of the year is Fall. Give me all the pumpkin, cinnamon, cloves--the list goes on. I'm also a lover of jackets, boots, and leggings. 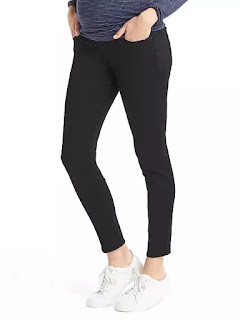 This year being pregnant with our sweet Carson I didn't want to spend a ton of money on a new fall wardrobe, so I'm bringing you Must-Haves that you can use pre, during, or postnatal. Some of my favorite pieces are the ones that aren't maternity, and even at 29 weeks I am still able to wear them! The items I included are essential items that anyone should keep in their closet all year long. 1. Utility Vest I have a gray vest similar to this and absolutely love it. It is perfect in the hot months where I want to dress something up for fall, but can't cause it's too hot to throw on a jacket. Light vests are perfect for long sleeves tees! 2. 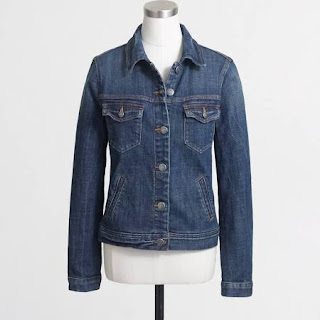 Jean Jacket I have had my vest for quite a while now and it's my go to for all seasons. I love throwing it on over my strapless maxis when pregnant, as it's freezing inside but hot outside. I highly suggest investing in a jean jacket. 3. Black and White Stripe Dress I have seen stripe dresses every where this year. I have one that will fix pre-pregnancy but want to invest in one to wear home from the hospital. One that is comfy that I can throw a kimono over when it's chilly out. 4. Black Jeans I got these jeans a while back when my mom found them for less then $3 at our local Gap. I got lucky and they were my size, and fit perfectly! I love wearing black jeans in the fall and winter and dressing them up with some gold accents. 5. Leggings I actually had never heard of the brand Rune until I purchased these leggings on a maternity swap site on Facebook. But oh my goodness they are my favorite. I will definitely be wearing these after pregnancy and want to invest in one more pair! 6. Leather Purse I've been on the search for a leather bag to monogram and I'm pretty sure I need to find one now. I am loving this wine color, but I'd also be fine with a camel or black. I might pick one up this week. 7. Booties So I have this gorgeous dress for my shower that I believe will only go with booties--I can't wait to pick some up though and wear them all the time. There is so much that they can go with, and I will definitely get my wear out of them! 8. Blanket Scarf Blanket scarves are so trendy right now--my cousin sent me a plaid scarf last year with my monogram, and I wore it all the time. I want one of the blanket scarves with my monogram though, hopefully I can find one soon that I am loving. 9. Jord Watch Jord sent me a watch about a month ago--and literally the next day my Michael Kors one broke. It was a sad day, but I am definitely using my Jord more then I thought I would. They have lovely women's wood watches that go great with anything! 10. 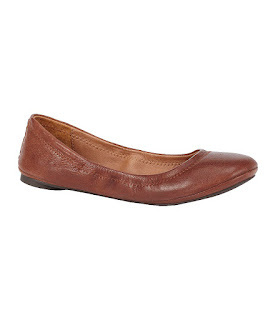 Flats I literally buy these shoes every 6 months--they are so comfy and a great flat that go with anything! 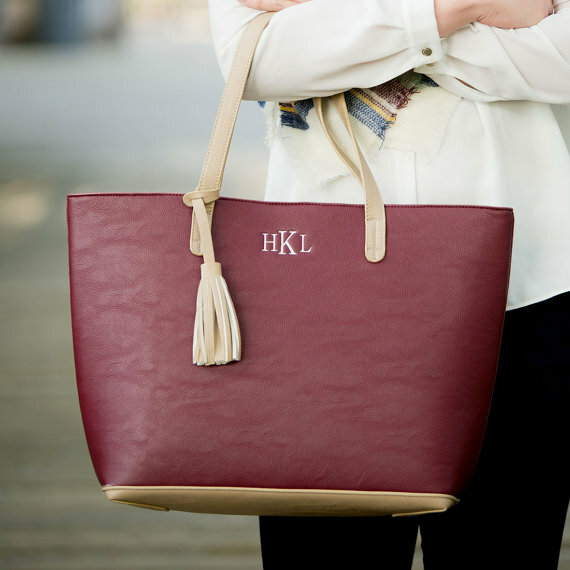 What are some of your fall must haves? Love the black and white stripes this season too! I need to find a casual go-to dress to wear to work next month! Absolutely! You can never go wrong with a black and white dress. I have one if you want it. Obviously it doesn't fit me hah! All of these items, I'm completely on board with! Love the Jord watch, I wear mine all the time. And that purse is beautiful! Oh yes! I really want to find a purse like it and monogram it! So cute! I wear my utility vest with almost everything - it's such a versatile piece in my closet. What a great roundup! Looks like you'll be super cozy this fall! 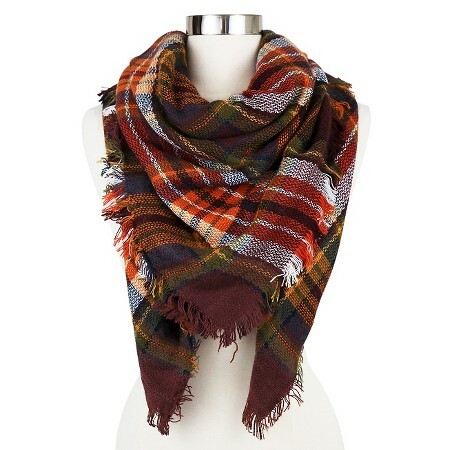 I love blanket scarves and look forward to wearing them every year! Cute vest! I like how long it is. 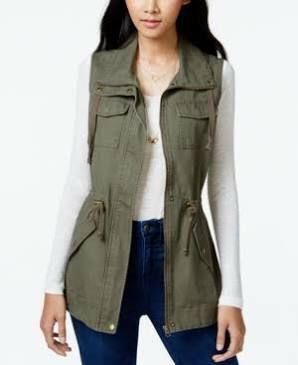 I've really been on the hunt for a utility vest! They're so cute and you can even pair a blanket scarf with one for a super chic look! Literally love all of these! So many goodies here. 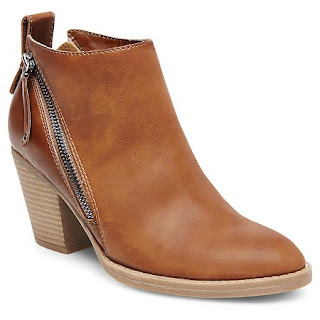 I love all these things but I think I need back jeans and booties, stat! 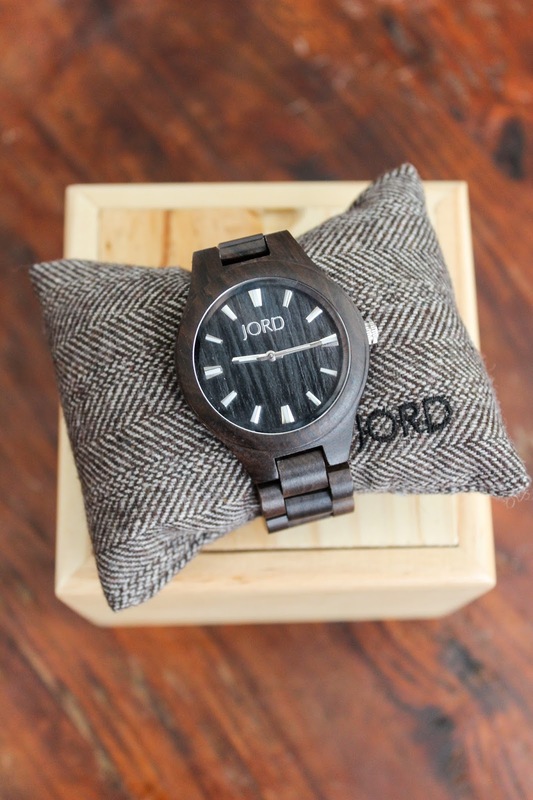 And JORD watches are the best! Great collection of must haves! Mine is very similar! I must look into the Jord watches. It looks so sleek and chic! This is perfect. 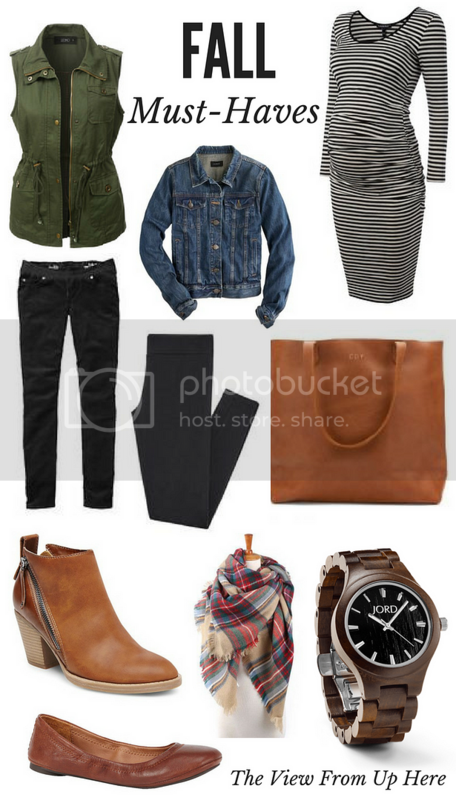 I'm on the hunt for a utility vest, some black and white stripes, and some booties! Omg! 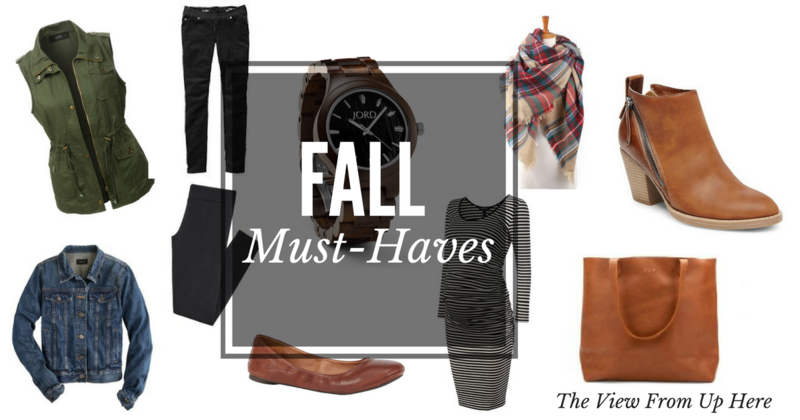 I love all 10 of your fall must haves! They are all necessities. :) I especially love the booties. You can wear them with everything! Win, win, win! Agree to all of these except the watch--I've never been a watch girl myself. Just looks weird on me! I love fall and cannot wait until it finally cools down in SoCal... not likely until Nov/Dec probably. But, I can't wait to try out some of the looks you outlined! I love those boots. So cute and very inexpensive. LOVE!! !